Isn’t this true in life, we know the final destination, but we can’t see the path. As a believer in Christ, I know my destination is Heaven. But as far as the path-what will happen before I die- I wonder if I have 5 years or 55 more years? Will we have more children, embark in ministry, or accomplish the dreams and goals we have for our family? The pains of uncertainty sometimes leave me paralyzed as to the next leap we should make when it comes to friendships, family, or even investments. I heard a quote this past weekend: “If you don’t live your life on purpose, you’re an accident waiting to happen.” This spoke to me so much, because how many times do I find myself avoiding the difficult decisions only because I’m crippled by imagining the possible outcomes. The reality is– my outcome (Heaven) is ALREADY DETERMINED. I don’t need a sign post on the journey because the path is set before me. I can choose to act now or I can procrastinate and let the fear keep me from acting. In the book An Enemy Called Average, the author John Mason says there is a correlation between spiritual maturity and how quickly a person responds to mistakes and failures. I really believe that when we know our destination is secure, we are wise enough to handle the veers off of path (that God predetermined, yet we maybe aren’t pleased with). I’m working on letting go of what people think of me or how others may perceive my journey and resting alone in the hope I have. What do you think- do you struggle with the daily decision to live intentionally and make big goals for your family because you can’t see the destination ahead of you? If you’re a Christian- do you consider that God knows the days of your life and will lead you on His path to that destination? 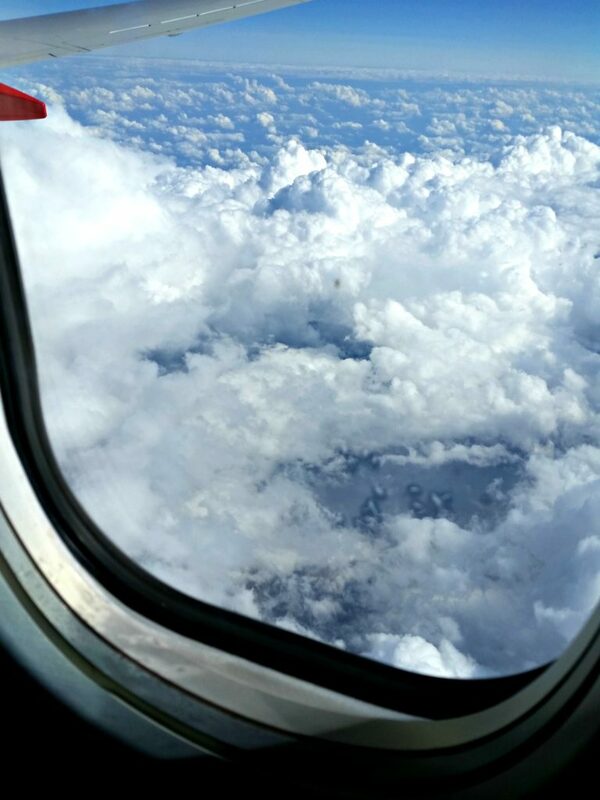 (And as a sign note, I ended this post just as we hit some pretty rough turbulence and I nearly had an all-out freak-out on the plane! Thankful for my sweet husband who sees marriage as a destination (Forever!) and that he let me wake him up and say, “You can’t sleep! I need you!” I’m working on the faith I need to trust the Lord that He knows my destination – AND the arrival time).